You know how the saying goes, “April showers bring May flowers”. Well so far, April’s brought snow, ice and a much too long winter for most of the country, leaving our yards in dire need of some TLC. Before you bust out the lawn equipment and start the spring cleaning, consider these facts from Asurion about how men across the country put their “green thumbs” to good use in the yard. When it comes to lawn maintenance, most men are pretty particular about how it’s done. In fact, 43% of men insist on being the sole care takers of their yard. 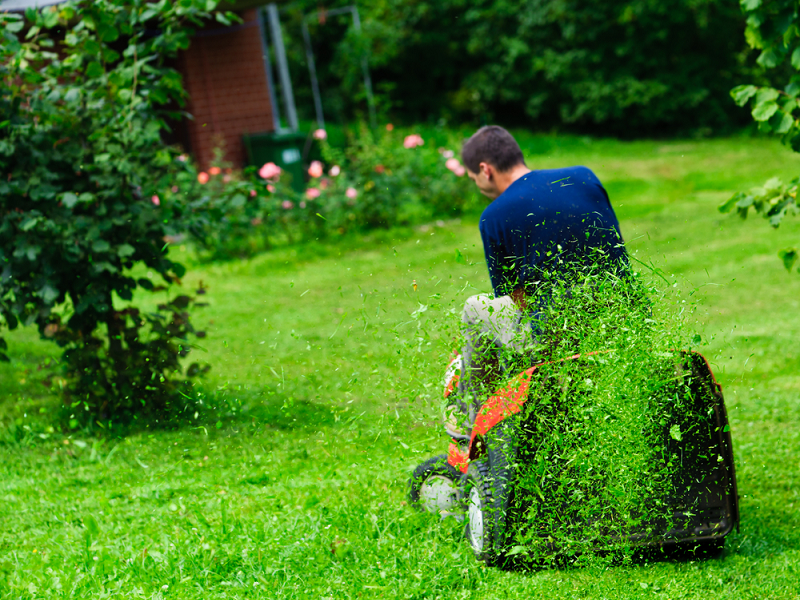 Nearly two thirds of them use a push mower to cut their grass, compared to 23% who use a riding mower. Additionally, nearly half of men mow their lawns horizontally vs. 19% who mow diagonally and 29% who alternate weekly. It sounds like a lot of work, but most men claimed mowing their yard was a labor of love, with 80% saying they do it because they actually enjoy cutting their grass. What makes it so entertaining? Well 54% listen to music while they mow, and 21% enjoy a cold “adult beverage” to pass the time. Over 70% of men have recently purchased lawn equipment, with the most popular gadgets being a push mower (27%), weed eater (16%) and riding mower (13%). Of those with new gadgets, 53% of men report having an issue with it breaking or malfunctioning in last 12 months. Skip the stress that comes with a broken lawn mower or weed eater. Protect your lawn equipment with Asurion.